Leadership has been defined variously, with regards to management and administration, organizations and government. It is a common socio-political phenomenon with many expectations both from those that laid its foundation and the general public affected by its actions. Theoretically, it manifests in form of private or public organization or informal organization; by informal organization we refer to certain circumstances that we find ourselves demanding of prompt and precise responsibilities that will help in addressing a given issue. To some people, it is the ability of an individual to influence, motivate, and enable others to contribute towards the effectiveness and success of the organizations of which they are members; to others, it implies relationship of power- the power to guide others. 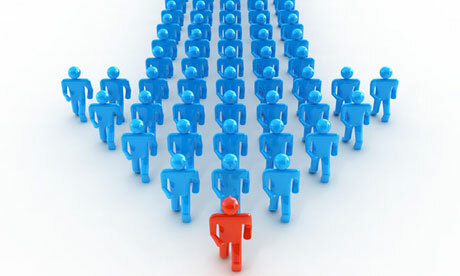 Leadership, therefore, must engender in its mechanisms, institutions, and structures, a system that fosters integrity, authenticity, credibility, visibility (foresight), honesty, loyalty and the ultimate ethical value, justice and abhor the concealing of harmful information, bribes that are proffered, untruthfulness, abuse of authority, and the practice of nepotism. These virtues are only adequately expressed in actions and behavior, not mere words. For me, Leadership is the ability to inspire others into participating in a shared vision; which involves choosing goals, selecting objectives and imposing requirements all towards achieving targets and generating progress. It is more pragmatic than theoretical in nature because it is an action word. Hence, it implies the relationship of power- the power to guide others to attaining a shared vision. For one to lead, one must be willing to follow because the whole essence of leading people to a shared vision is also being willing to go the length of the whole journey, following the passion and the road maps that lead to the set goals. Not all leaders leave a legacy of succession but the few who do, possess these qualities: they Lead the initiative with a long term view, build leaders at every level of the organization, create an enduring corporate culture with shared values; have the wisdom to know when to walk away from the limelight and; walk away from the organization with integrity. In sum, one who leads is a leader. This is based on the function one performs at the moment. Thus as one author puts it, “if your actions inspire others to dream more, learn more, do more and become more, you are a leader”. This is leadership defined. a great piece and I hope all these are facts and not fiction. Words are as true and real as you see them. there is nothing abstract in it. They are part of our everyday happenstances. There is no pont in pointing.